LendingPoint is a choice lender for borrowers with fair credit. With a multitude of personal loan types available, it’s easy to get financing for just about any type of project. Even better is that LendingPoint uses a holistic approach to the loan application process, rather than relying solely on your credit history. 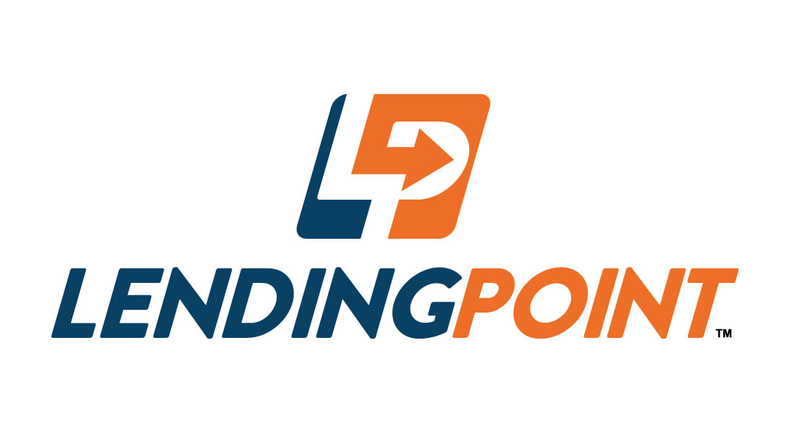 LendingPoint offers a low starting point for personal loans, with the minimum threshold at just $3,500. If you need more funds, you can borrow a maximum of $25,000. All loan terms fall between two and four years in length. Like most other lenders, LendingPoint charges an origination fee when you first take out the loan, but with a flat fee of 5%, you don’t have to worry about that number fluctuating based on your credit. You also get the added bonus of either paying that fee upfront of choosing to spread it out over your monthly payments. The downside to LendingPoint is that its interest rates are fairly high compared to its competitors, but that could be because they focus on fair (not excellent) credit applicants. Once approved, your loan rate offer could range anywhere between 17.46% and 35.99% APR. How can you qualify for a loan from LendingPoint? You’ll need to meet a few basic requirements. First, you must have a minimum 600 credit score along with a gross income of at least $25,000. (That’s how much you make before you pay taxes, health insurance, and anything else that is taken out of your paycheck). You’ll also need a debt-to-income ratio of 45%, meaning that all of your monthly debt obligations can only take up 45% of your monthly income amount. When it comes time to apply for a loan, you can receive a decision in as little as just a few minutes. To get this fast service, however, it helps to have a few resources on hand before you get started. Gather up your proof of employment and income, recent bank statements, a voided check, as well as your driver’s license (or any other government-issued identification). You can then input all of your personal and financial information online before reviewing and selecting your loan options. You also have the opportunity to get a pre-approval, which allows you to view your loan terms without having a hard pull affect your credit. When your loan application is approved, you’ll receive different loan options to choose from. These may vary based on interest rate and the length of time you wish to repay the loan. Lending Point now offers loan terms of 24 to 48 months. After you choose one, you’ll sign an agreement and receive your funds in as soon as one business day. You can elect to get your money either through check or direct deposit, both of which are convenient options. When it’s time to make a payment, you don’t have to worry about any prepayment penalties. So if you have extra cash to put towards your payments and want to save money on interest, in the long run, you can definitely do that. If you’re late on your payment, note that you’ll be charged a $30 fee each time. On the plus side, you can pay via personal check without incurring any penalties, which is common among other lenders. A convenient feature from LendingPoint is the ability to set up ACH payments so that your payments are automatically debited from your account each month. It’s a great way to regularly stay on top of your bills without worrying about incurring any late fees. Just make sure you have the money in your account before your due date. If you don’t want to enroll in autopay, you can also pay directly online at your convenience or mail in certified funds. It’s also helpful to know that LendingPoint reports your loan activity to both TransUnion and Experian. While Equifax won’t currently receive records of your payments, you can rest assured that two out of three of your credit scores will benefit when you make regular, on-time payments. 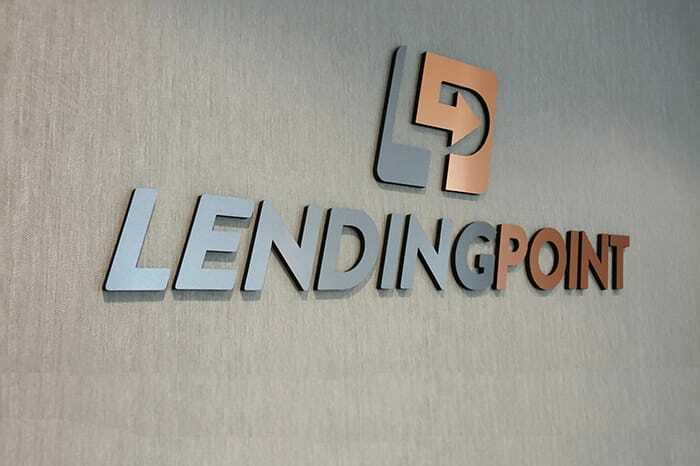 LendingPoint has been on the fast track to success after only being in operation for a few years. In 2015, the company funded $20 million in loans after processing 65,000 loan applications. Its founder and CTO, Franck Fatras, has a history in the industry, having built the loan management system for one of the nation’s largest lenders. Before you get started pulling together your application information, find out whether or not a loan from LendingPoint makes sense for you. Here are some things to think about before you make a final decision. While you only need a minimum credit score of a 600 to be eligible for a LendingPoint loan, the company looks holistically at your credit report. This can work to your advantage in some situations because they consider your credit history beyond just the traditional FICO score. But depending on the contents of your report, it could actually hurt your chances for a loan. Here are some other factors that LendingPoint considers when evaluating loan applications: credit card debt; current delinquencies; bankruptcies; charge-offs from the past 12 months; and open tax liens. They’ll also look at your employment history to ensure you can expect steady income during the loan repayment period. Once LendingPoint takes all of this information into account, your application is assigned a corresponding grade. Again, this doesn’t necessarily equate to your credit score but instead, gives a broader representation of your credit history. This method can also be helpful if you have thin credit, meaning you don’t have a lengthy credit background. If, however, you have multiple charge-offs, delinquencies, or other major negative items, you might consider looking elsewhere since LendingPoint focuses on fair credit (and thin credit) borrowers. Debt Consolidation: Pay off your existing creditors with funds from your loan so you have just one easy payment. Ideally, you’ll save money with a lower interest rate, too. Home Improvement: Work on renovating your house without tapping into your home equity. Funding your home improvement project with a personal loan can be much faster than waiting for a refinance or HELOC. Car Loans: These can be used either to buy a new car or repair your existing vehicle. Medical Bills: If you’ve been hit with unforeseen medical expenses, consider paying them off with a personal loan — assuming you can’t strike an interest-free repayment plan directly with your medical provider. Life Events: Whether it’s your wedding day or the vacation of your dreams, you can use your LendingPoint loan for a joyous occasion. Moving Expenses: This way you don’t have to worry about the cost of a move preventing you from taking a chance on a new chapter of your life. Whether it’s for a new career or to be closer to the ones you love, you can finance your move and save yourself a lot of frustration (not to mention aching bones). Remember that LendingPoint’s starting point for interest rates is higher than some other lenders so it’s important to compare multiple offers before making a decision. Filling out a pre-approval form typically doesn’t hurt your credit score and you can get pretty specific loan terms with no obligation. Find a few other lenders that cater to your credit profile to see who offers the best deal. Don’t just look at the interest rate. Make sure you also compare the origination fee and length of repayment; even if your rate is lower, you could end up paying more in the long run if it’s spread out over a longer period of time. Also, take a look at what your monthly payments amount to. Can you comfortably fit those into your monthly budget? What happens if a new financial emergency crops up, such as a major expense or job loss? You’re stuck with that payment until the end of the loan term, no matter what else happens in your life. Make sure you have a strong buffer of savings and a contingency plan in the unfortunate event something knocks you off your financial path. If you still feel like you can handle it, then you just might be ready for a loan from LendingPoint.